Central Ohio Ntrak (CONtrak for short) is a multi scale model railroad club located at 3840 North High Street, Columbus, Ohio. Open on Tuesdays from 6:30 pm until 8:00 pm. The club house consists of a static HO scale layout and modular N scale layout and an in progress build of a new static N scale layout. CONtrak has displayed N, HO, Z and TTrack modular railroads, as well as, members Lego at several events including the Hartford Fair since 2003, Marion Train Show, Buckeye Show, Great Train Show, World's Greatest Hobby, and CONtrak Ohio N-Scale Weekend since 2009. For further information email ohionscaleweekend (@) yahoo (.) com remove ( ) for email address to work. It is with great sadness that we must report that our long time club secretary Craig Sonnen passed away on Thursday Feb 28.. Our thoughts and prayers are with his family. As many of you know Craig had run the registration table at the Ohio N scale Weekend since day one. He was a Master Model Railroader, active in the local NMRA chapter and a very involved in the Ttrak community. Paul Bender or Mike Kohler directly. Their contact info is on both the participant and vendor forms found under the 11th Annual Ohio N Scale Weekend page. Thanks. 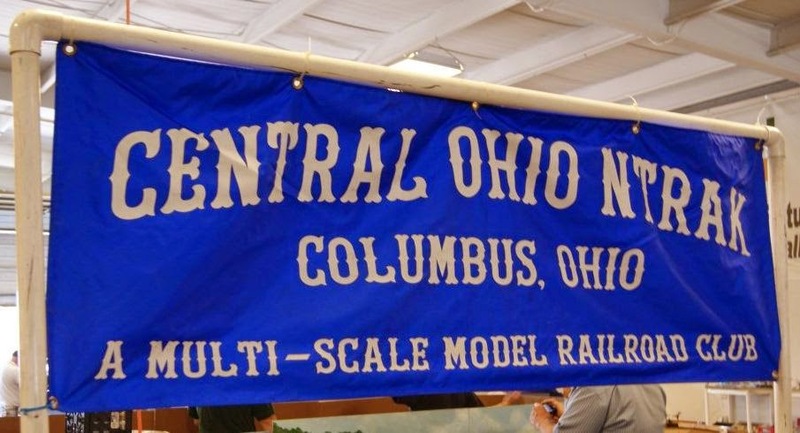 11th Ohio N-scale Weekend: May 17, 18, & 19, 2019: Franklin County Fairgrounds, 4100 Columbia St., Hilliard, OH 43026. Set up ONLY Friday 5-17-19; Show hours on Saturday 5-18-19 10a-5p for public, after 5p participant door prize drawing, vendor/participant meal, & live auction. Participant weekend fee is $10.00, vendor table rental is $40.00. Public admission is $5.00 on Saturday for those over 12 years of age; individual/family on Sunday is $5.00. Registration forms available under the show listing. Again, please note that due to the Koman Race for the Cure and the Sonic Temple Art & Music Fest (formerly Rock on the Range) at Crew Statium, hotel space fills up quickly in the Hilliard/western Columbus areas. We do have club memberships available for adults, please visit us on a Tuesday around 7pm and see our layouts and get all the information you need about joining this club. All you need is an interest in model railroading. Use the rear door at 3870 N High St, Columbus, OH. (building faces Richards Rd) The 2nd Tuesday of each month is our business meeting.